Home | Blog | Ask Our Experts: How Does the Restoration Insurance Claim Process Work? Insurance claims are a hassle. Paperwork, deadlines, checks – let alone the work that goes into restoring your home after fire, wind, water, or storm damage. Here’s a roadmap from the team at Tuckey Restoration that sheds some light on the process. 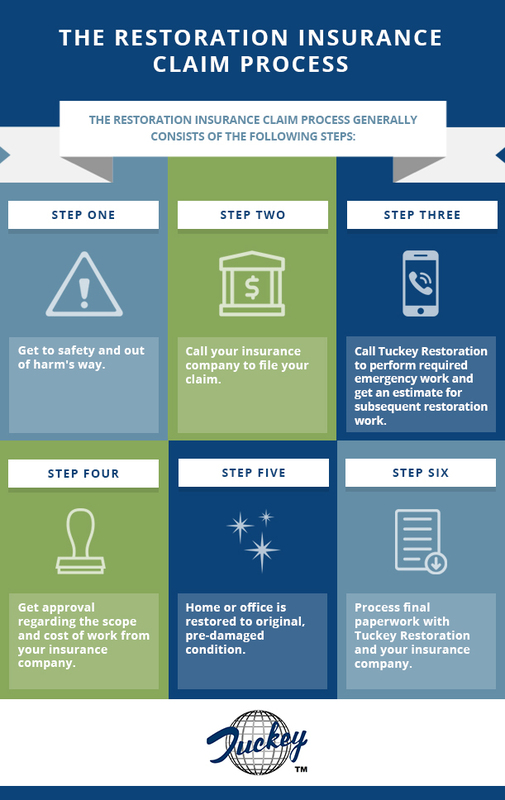 The restoration insurance claim process generally consists of the following five steps: 1) Call your insurance company, 2) Call Tuckey Restoration to perform emergency work and get an estimate on subsequent restoration work, 3) Get approval regarding scope and cost of work from your insurance company, 4) Work on the project, and 5) Wind-down the project and process final paperwork. Additional details and further considerations are provided below. Remember that Tuckey Restoration offers 24/7/365 emergency service to meet your needs – we’re always here for you when you need us most! How Does the Restoration Insurance Claim Process Work? Displaced. If the situation has forced you to flee, you’ll need to estimate the damage from a distance. For example, if half of your house has burned to the ground or the first floor is flooded three feet deep, setting foot on the property will hardly be an option until major restoration work has been completed. Compromised. If your basement has flooded or a tree has fallen onto your house and partially broken the roof, you might opt to stay put, though you will need emergency mitigation service as soon as possible. Get yourself to safety. Don’t stick around when danger looms. If your house catches fire, everyone in your house must evacuate immediately and let firefighters do their job. If a hurricane is imminent, flee the area. If floods are on the way, get everyone in the car and make your way out of town. If conditions aren’t severe enough to leave, at least make sure you are prepared with a plan and the supplies you need. Call your insurance provider. With everyone in your household pulled to safety, contact your insurance provider and give them a full rundown of what occurred in as much detail as you can. Assess the damage, either over the phone or in person, with an agent from your insurance company. This will initiate the storm damage or water damage insurance claim process. Request the services of Tuckey Restoration, Inc. Let your provider know you want Tuckey Restoration to handle your case. While other contractors in Cumberland County, PA, aren’t necessarily equipped to work out the price of restoration claims with insurance providers, Tuckey Restoration has negotiated such claims for the benefit of residents for decades. Make a spreadsheet. Create an Excel spreadsheet today that lists every item in your house and its perceived value over time. Color–code the most special, high–value items in your possession. Make a walkthrough video. Backup your spreadsheet with a video walk-through of your home that shows each room and its contents. You could make this with a small digital camera, or on any smartphone that contains a video–capture feature. Upload the spreadsheet and video to a cloud server for personal access from any location via laptop or smartphone. That way, if you ever find yourself in an emergency situation, you’ll have all the info about your household belongings in one instantly accessible place. This will make things much easier as you speak with your insurance provider about a damages claim. With all of these details worked out with your insurance provider, have them assign your claim to Tuckey. We work on behalf of residents in Gettysburg, Chambersburg, Mechanicsburg and nearby communities in the matter of storm damage, water damage and fire damage claims. Request emergency mitigation service. If your house requires immediate patch-ups to prevent further damage to your property, Tuckey Restoration crews will be at your property within a matter of hours to perform the needed relief work. For example, if sections of your walls or ceiling are torn away, we’ll board things up so your rooms aren’t exposed to the outside elements. If your basement has flooded, we’ll drain and dehumidify the area in an appropriate timeframe. If the situation is not an emergency, skip to step two. Pay insurance deductible to Tuckey Restoration. The deductible is the amount of money you would be responsible for up front before insurance kicks in. This amount is paid directly to Tuckey Restoration before the actual restoration work may begin on your property. In the event that an insurer backs out for whatever reason, the homeowner is responsible for all labor performed by Tuckey. Workload estimated, reviewed and revised. Based on the information you’ve provided plus site observations, Tuckey Restoration will make an estimate of how much it will cost to restore your property. These details will be discussed with your insurance company, and the two parties will then agree on a proposal. In the one to five days it takes to hash out estimates, further information might surface about the extent of damage to your property. Upon review between Tuckey Restoration and your insurance company, revisions will be made to your proposal if additional information comes to light. After that, the proposal is submitted for your approval. Depending on the number of revisions, these steps may take days or sometimes weeks. Approving estimates. The proposal will then be submitted to you for your signature. If you’re dissatisfied with the proposal, contact Tuckey Restoration to share your concerns. If you’re worried that the estimates don’t take enough details into account, our representatives will gladly work this out with you. However, negotiations may only encompass the restoration of damaged areas to your property. 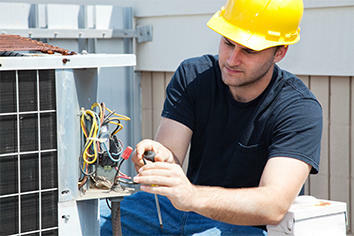 Additional work is something we may provide, but this would be done outside of your insurance coverage. Insurance will cover “like kind and quality” work, but the homeowner covers anything above that range, such as an upgrade from an “average” to “top-notch” bathroom. Read more about this on our New Construction page. Signing the proposal. With the proposal agreed upon by all sides — Tuckey Restoration, the insurance company and the homeowner — the last step in the proposal stage is for you to sign the document. This turns the proposal into a contract and sets the wheels into motion for the work phase of the restoration process. With the contract in place, Tuckey Restoration goes about ordering supplies and preparing for the restoration work. This may take up to 30 days or more, depending on how long it takes to secure any necessary permits and lineup available workers and material for the project. For a lot of residents in Abbottstown, Chambersburg, Harrisburg and surrounding areas, the insurance claim process from this point forward is just a matter of hanging tight while Tuckey Restoration does the rest. Restoration goes as planned. In most cases, the initial estimates are accurate, and the rebuilding plans account for all the damaged areas of a given property. Therefore, the supplies that have been ordered for the project will generally cover everything, so there’s little chance of potential setbacks arising from a need for additional materials. For restoration work alone, this is the most ideal of situations because the job may be completed within a reasonable timeframe with little, if any, additional waiting periods. Supplemental work is needed. With some homes that have incurred damage due to fire, flooding, hurricanes or other external factors, the initial estimates might fail to anticipate the full extent of damage. As workers go about rebuilding your property, further damage might be uncovered that would necessitate revisions to your contract. For instance, workers might discover that the vehicle that crashed through your bedroom wall had also severely compromised the stability of the floor with the weight of the vehicle. Therefore, a project that was conceived to focus on rebuilding the wall will now also involve replacing part of the floor. When situations like this occur, Tuckey Restoration will make new estimates and work out the details with your insurance company. As before, the revised proposal will be submitted for your approval, and then additional supplies will be ordered for the work. This could add several more weeks to the planning stage before work recommences. You opt for further remodeling work. As Tuckey Restoration rebuilders go about restoring your property, you might decide you’d like additional work done on your property. Instead of having your kitchen rebuilt to what it was, you might wish instead to have it radically remodeled in a different style that includes adding square footage to your house. Alternately, you could decide that with Tuckey Restoration around, the time is right to have remodeling work done to another part of your house that wasn’t damaged. At Tuckey Restoration, we have the means and crew to provide this kind of work, but the costs involved will be separate from your contract and will not be covered by your insurance company. As such, any additional work will be between you and Tuckey Restoration. Once again, we will draft a revised order for this additional work and submit it for your signature. Revised work will commence as soon as supplies and worker schedules are lined up, which may take roughly 30 days. Emergency mitigation service (EMS). This is the job that Tuckey Restoration immediately performs on a property where emergency work is needed to save the architectural integrity of a house or building. For example, if a roof has been partially torn from the top of a house by a hurricane, we’ll do emergency tarping to block rain and other elements from your home. Likewise, if one of your walls gets partially torn out, we’ll board up the damage to keep your home secure in the weeks ahead. EMS is performed on homes that are compromised in the aftermath of a disaster. The work at this stage serves as makeshift repairs designed to tide a property over until all the restoration paperwork and planning are sorted out, which may take many weeks. Supplement. A supplement is an additional set of restoration work that might be necessary to restore your house to its pre-damaged condition. Supplements come into play when Tuckey Restoration work crews discover that damages to a property are more extensive than originally believed. Example: whereas the initial contract might have called for the repair, re-carpeting, re-tiling and re-trimming along a flooded first-story floor, workers discover the water has saturated drywall and insulation up to two feet off the ground. Therefore, a supplement proposal needs to be drafted for repairs to the drywall and insulation. Though a supplement is generally covered by your insurance provider, the paperwork and preparations involved may add at least a month to the overall repair time. Deductible. This is the difference between what your insurance will cover and what you’ll owe Tuckey Restoration directly before restoration work may begin. Scope of work. The scope of work simply refers to the amount of repair work that will be needed to restore your property to pre-damaged condition. Change order. When you wish to have Tuckey Restoration perform an additional set of remodeling work that isn’t part of the rebuilding plans, you need to file a change of order. For example, while Tuckey Restoration work crews are busy rebuilding a wall that got torn on the side of your house, you might decide that you wish to have your two spare bedrooms combined into one with a bay window that extends further into your backyard. While Tuckey Restoration has the resources and expertise to perform such work, it won’t be covered by your insurance because it doesn’t fall under the category of damage restoration. Therefore, a separate contract will be required for such work, which you will have to pay for with your own resources. Work authorization. This refers to the initial document you sign after first making contact with Tuckey Restoration. A work authorization document verifies your end of the agreement to allow Tuckey Restoration to perform emergency mitigation service on your property. A work authorization document accounts for the relationship between you and Tuckey Restoration during stage one of the restoration process, but it does not cover any of the contract paperwork of stage two that paves way for the actual rebuilding labor of stage three. Proposal/contract. With or without emergency mitigation service, the papers for the eventual restoration work are known first as the proposal and ultimately as the contract. The proposal is based on cost estimates of the scope of work required for your property. In most cases, these estimates would be determined jointly between the contractor (Tuckey Restoration) and your insurance provider. Sometimes, the proposal goes back and forth at least once between contractor and provider as discoveries are made and estimates are recalculated. Finally, the proposal is sent to you for your signature. Upon your signing, the proposal becomes a contract, and restoration work is thereby green-lighted to begin. The paperwork may take anywhere from three to 12 days or more to complete, while the planning that follows may take up to a month before the actual labor commences. The negotiations that go into the proposal/contract, as well as the planning that stems from the paperwork, comprise stage two of the restoration process. 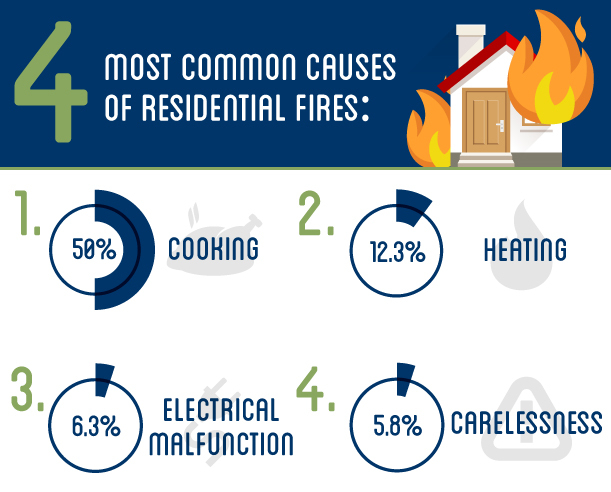 Half of all fires that occur in homes could likely be prevented with greater care around the stove, while nearly a fourth of all remaining fires could be avoided by keeping flammable materials away from heaters. Lessons learned. According to the National Insurance Flood Program, there’s a one in four chance of flooding in your neighborhood over the course of a 30-year mortgage if you live in a flood-prone area like Franklin County, Pennsylvania. The time it takes to temporarily relocate and file an insurance claim could be reduced if contingencies are put into place for such an event. A cloud-saved Excel spreadsheet of your belongings and their worth could help expedite the claims process and make it more accurate and thorough. If you don’t have nearby relatives to turn to in the event of displacement, it could also help to have knowledge of decent nearby hotels with the best rates. To avoid finding yourself ever again without toiletries or a change of clothes for any length of time, storing such items in the trunk of your car could make the experience easier to handle. No business should operate without a restoration pre-plan. There’s too much at stake when you own a store with tons of valuable merchandise, all of which could be wiped out in minutes if you don’t have an insurance plan. When you set up a pre-plan for your business, the contractor will tour your premises to take record of the floor space, facilities and more so all the necessary information is on hand in the event of an emergency claim. Ready to get started? So are we! You can read more about our restoration services at https://www.tuckey.com/damage_restoration.html. We would be happy to discuss a potential project with you and get your home or office back to normal. Please contact us at (717) 524-1198 or www.tuckey.com today!